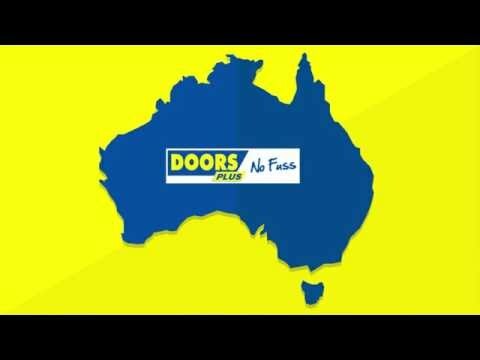 Since 1989, Doors Plus has been supplying high quality doors to Australian homes. By embracing the latest technology and design trends, our range features stylish, strong products that are characterised by our quality craftsmanship. From a solid timber front door that makes a lasting impression to a tempered glass interior door that matches your decor, you will find what you’re looking for within our range. Make a lasting first impression and increase your curb appeal. Browse our range. Choose from our wide range of styles and materials. Enhance your decor and express your style with our range. 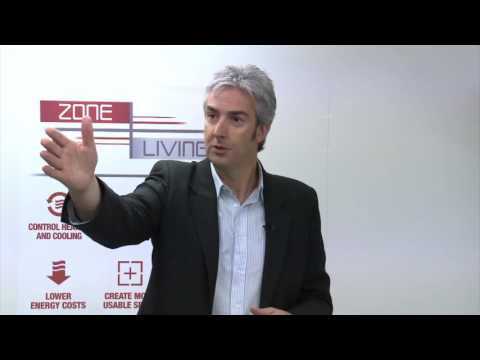 Create separate zones in your open plan home with these options. Ventilate and protect your home with these smart solutions. Through decades of experience, we have fine-tuned our products and services to meet the needs of our customers and provide them with real value. 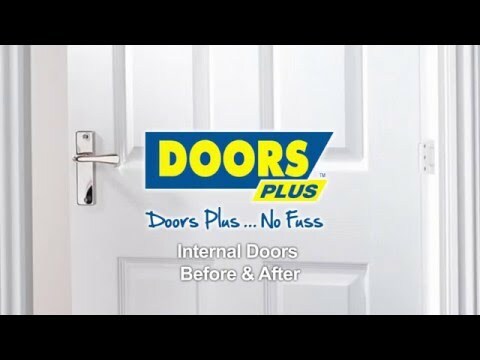 Featuring a variety of designs and materials, our internal and external doors are available in a range of sizes and finishes. Choose from our large selection of pre-finished doors that are ready for installation. This option saves you time and money during your renovation. 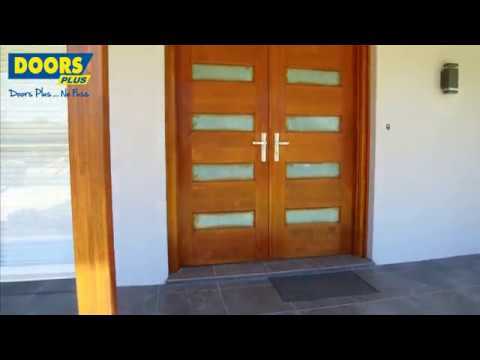 If you are looking for something more customised to your home, we have doors that can be stained or painted to create the look and finish you want. To add a touch of glamour to your home, have a look at our glazed doors collection featuring Doors Plus Safe Glass (TM) which is up to 500% stronger than ordinary glass. 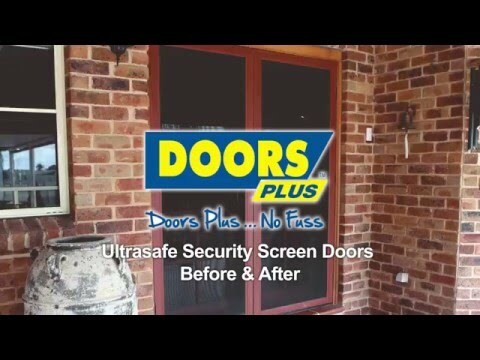 We also provide a Paint’n’Peel protective film over the glass, at no extra cost. This allows you to paint your door while neatly avoiding contact with the glass. Simply paint, trim and then peel away the protective film. Free Measure and Quote: Once you have selected your door, we can provide a free measure and quote so that you can have your new door fitted to perfection. 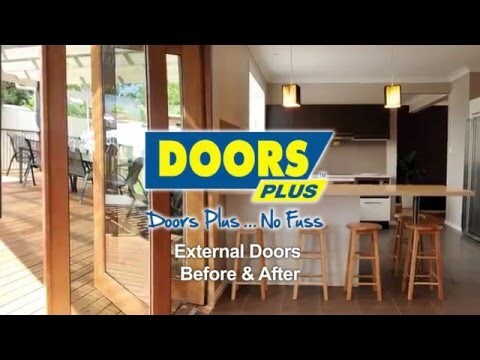 Installation: When you purchase a door from us, our qualified installers will remove your existing door, trim or resize your new door, reseal it if required, and then fit the door along with handles, knobs or any accessories you may have purchased. Delivery: Not confident you can fit your beautiful new door in your car? We can arrange delivery to your home. 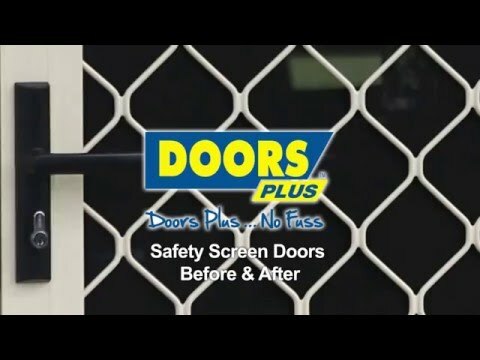 Our specially designed vans will ensure that your new doors arrive safely. Visit your nearest showroom today and be inspired.